William Hurt and Viggo Mortensen were nominated for Academy Awards for their respective roles in 2005’s A History of Violence and 2007’s Eastern Promises. But winning an Oscar isn’t one of Cronenberg’s personal goals, he said. The Weinstein Company is a U.S. film studio founded by Bob and Harvey Weinstein, who previously founded Miramax studios. In Hollywood, a movie’s budget often determines its content, Cronenberg said. Many filmmakers are swayed to make their art appeal to the masses, at the expense of its quality, he said. Violence and sexually-explicit content are prevalent throughout Cronenberg’s films, but he insists all his movies feature deliberate comedic moments. "David Cronenberg, you're my hero". "You are the wind beneath my wings". 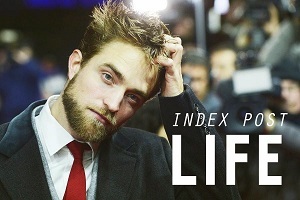 In my gut, my women's intuition, this will be the film that shuts critics up about Rob's Edward Cullen persona. If those critics still are negative about Rob's role in Cosmopolis, they are biased and have no business reviewing films. I have not seen a clip of this film, however, I just know this is the one that will finally have critics from around the globe talking about Rob's fabulous performance as Eric Packer. One more cliche for the road from Ms. Aretha Franklin, "I say a little prayer for you", that this film is successful both artistically and financially. Onto Cannes (crossing fingers). The fact that Cronenberg only has wonderful things to say about Rob, makes me SOO very happy! Iluvthemovies, I hope, like a girl can hope... 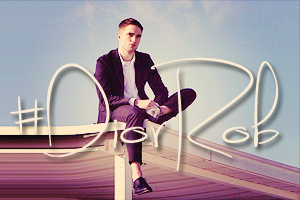 But I in deep I think they will banish Rob, because that's a chic. I had time last weekend, I watched Bel Amis. From 1947 and from 2005. The firs was american, the second was europen cooproduction but french. I must say, I did it, because somewhere I saw, that the 1947 was a critic's favourite. Hmmmm.... but not mine.The french was quite good, the character was good too. I will go to see Rob's Bel Ami on this weekend, to Slovakia, though the shooting was in my capitol Budapest. I'll never understand why don't they get this film in Hungary... Bah. I have a very very disgraphic keyboard... I push the character, but it don't want to write down ... Duh! I cant wait for this movie and do pray it does well in box office and critically!